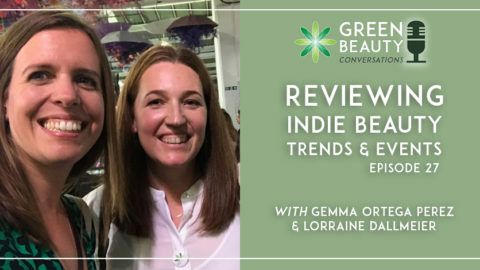 We met Jo Chidley, beauty entrepreneur and founder of Beauty Kitchen, effective, natural, and sustainable beauty, almost a year ago and have been stalking her ever since to give us some airtime. We are so excited to have caught up with her in her busy schedule running a multi-million turnover business from her native Scotland. 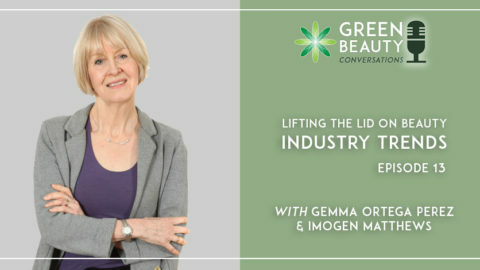 Jo has won multiple industry awards, including the Natwest Everywoman Award in the Brand of the Future Category and was recognised as one of the 10 most influential people in Natural Beauty in the UK. 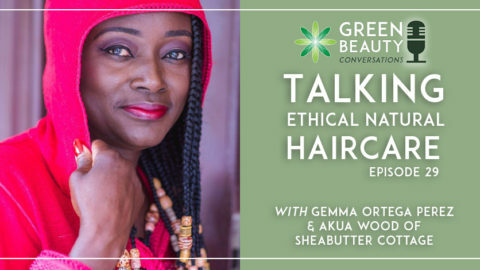 She’s been featured in the likes of ELLE, Woman & Home magazine and BBC News and is a founding member of the Global Advisory Board for Sustainable & Natural Cosmetics. Jo was voted Nr 2 in the 2018 Who’s Who of Natural Beauty. 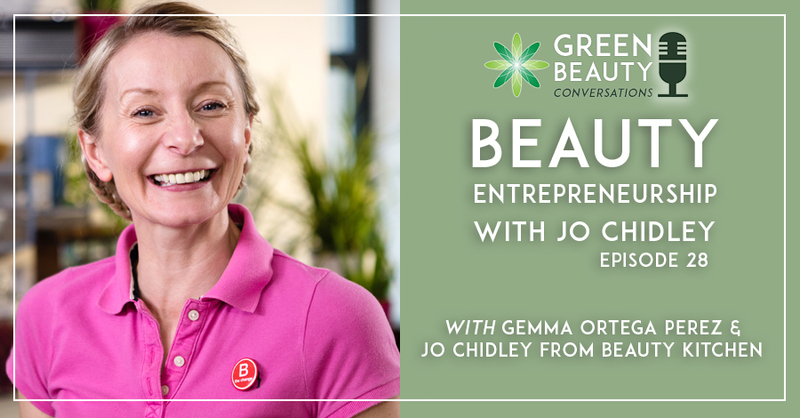 In this episode of Green Beauty Conversations, Jo takes us back to her early days in the beauty business, and talks us through her start-up strategies and how she grew from small beginnings to where Beauty Kitchen is today. 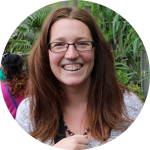 We realised talking to Jo that while some connections and opportunities come through sheer luck, there are many others that are out there for the taking, if you know when and where to look for them. These include free business advice and numerous sources of funding. 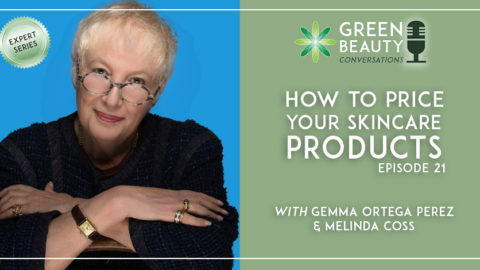 Jo and her husband knew they wanted to start a sustainable beauty business and spotted a gap in the sustainable, natural beauty market between the “fun of Lush and the efficacy of Neal’s Yard”, as Jo describes their niche. 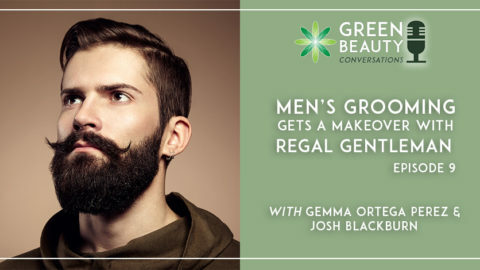 However, even though hugely successful now, Beauty Kitchen started small and took its time to thrash out that market niche and point of difference. Jo tells us that her big break came in a rushed, rather impromptu but nonetheless very cleverly pitched 10-minutes to a retail buyer over a coffee in Starbucks. The beauty entrepreneur has to know how to plan and yet be super calm and flexible at a moment’s notice to make the most of golden opportunities. 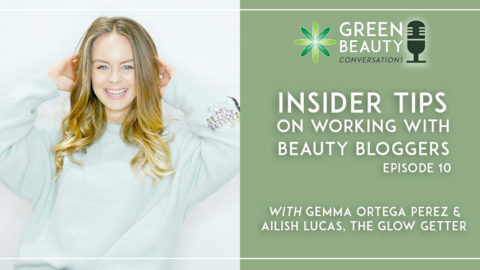 Listen to Jo’s experience, infectious energy and sound advice and you’ll gain invaluable inside tips from a seasoned beauty entrepreneur. Don’t rush your market research and the ground work needed to map your business model. Early sales at markets and fairs might seem a time waste but realise that the feedback you get and the resilience you gain personally from these experiences can help you define a better business and products later on. You need to be curious and do your research and have your antenna tuned to funding and networking opportunities. There are more funds out there for start-ups that you might think, from free business advice to grants. Use your gut feeling too. If you have a product ready for market, but your 6th sense and market research is telling you it’s not quite the right time for it to be understood, hold back. Start slowly but surely educating your market first and then try again. If your product or business doesn’t succeed in its early days, learn to “fail fast, fail cheaply and move on and learn from it”. A wise entrepreneur knows to cut their losses, be strengthened by the experience and save their energy to start again, differently. One opportunity often leads to another. Once you’ve gained one pot of funding, won one small award or some seed funding, you start to get noticed and to notice other sources of business know-how and start-up funding available to you at low or even no cost. Retailers, bank managers, and other entities you might wish to approach as you build your business are generally time poor. Try scripting out standard one-, three- and five-minute pitches that say everything important for your audience to know. Edit these pitches for different audiences. Getting hands-on and showing how your products work and how they differentiate themselves can do more than words on Powerpoint slides sometimes. So, get creative with your approaches to third parties. Seek out networking events and communities with like-minded businesses; someone will no doubt have had your issues and be able to offer mutual help. 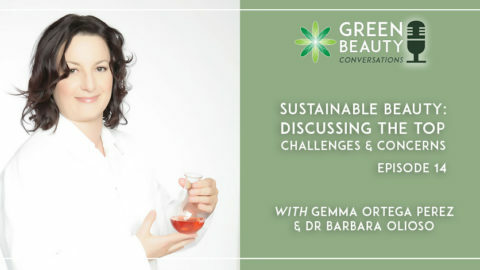 Sustainable business is not a trend but a new way of doing business. See how you can implement sustainable business practices transparently and ethically into your processes and products, whether in terms of packaging or moves to zero waste. Do what you can when you can. Small transparent steps are better than rushing and then not being able to deliver on promise. Entrepreneur Handbook – a complete list and guide to small business funding in the UK. Entrepreneurial Spark – accelerator, intrapreneur and mindset enabler organisation and network. Startup Grind – global community of entrepreneurs. 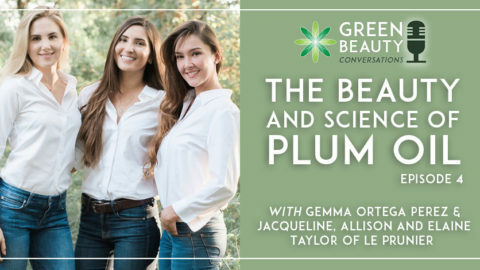 Thank you for joining us for this episode of the Formula Botanica: Green Beauty Conversations podcast. If you enjoyed this episode, please share, subscribe and review on iTunes or Stitcher so that more people can enjoy the show. Don’t forget to follow and connect with us on: Facebook. Twitter; and on Instagram.